You are browsing the archive for digital image-making mashups. Here is our second preview of the one-man cartoon show which will be running at Shrewsbury next month. 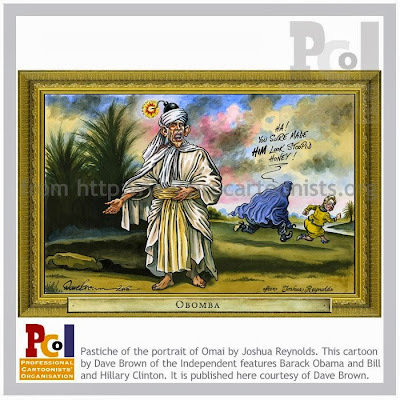 Dave Brown, cartoonist for the Independent, will be exhibiting work from his Rogues Gallery of art pastiches. Here is a recent example looking at the race between Hillary Clinton and Barack Obama for the Democratic party nomination for the presidency for the United States.